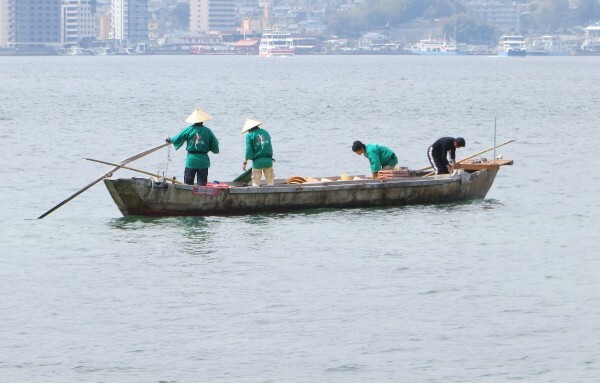 Frankly, I am not sure if they were fishermen. I couldn't tell just what they were doing. The tide was still fairly high, though ebbing. 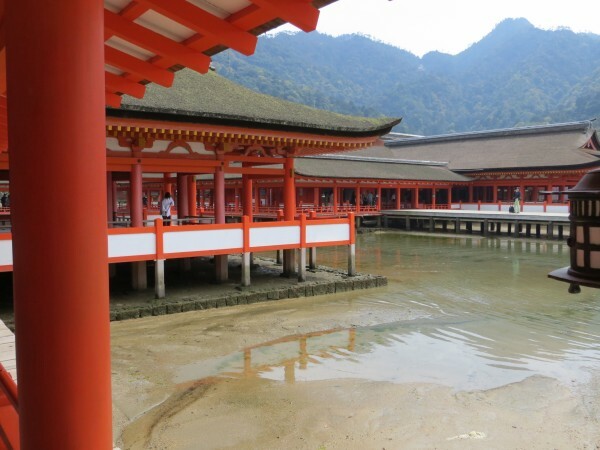 The shrine is much more attractive when the water is high around the stilts. 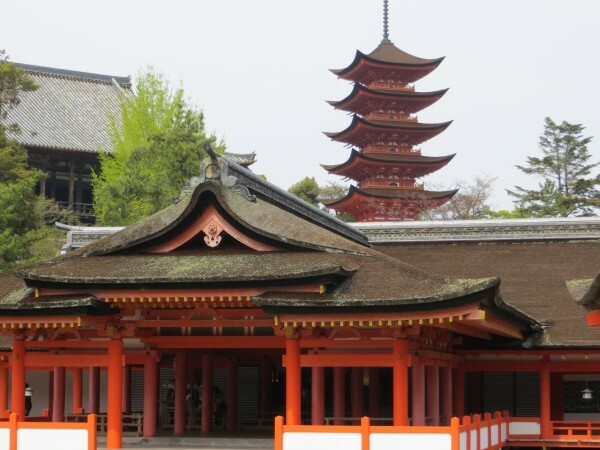 The design dates back to Taira no Kiyomori in 1168, but the buildings are from the mid 16th century. 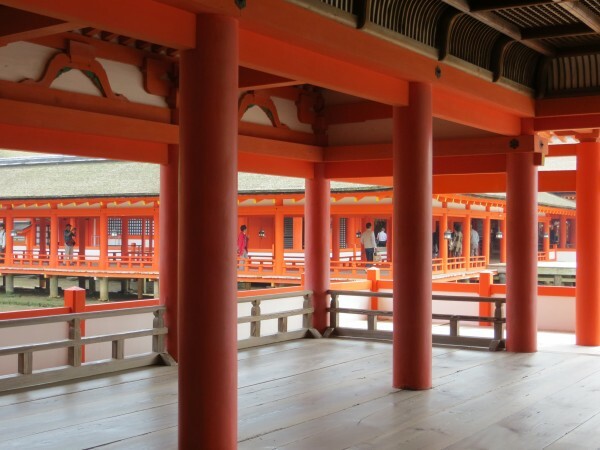 The large, famous torii, is built of rot resistant camphor wood. 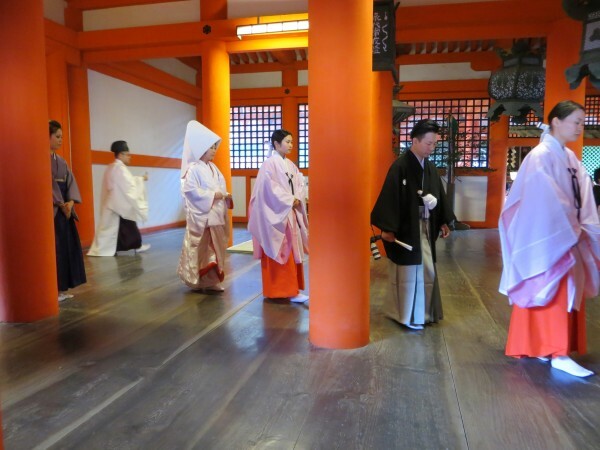 The devout were supposed to go through it by boat to approach the shrine. A glimpse of the many galleries. 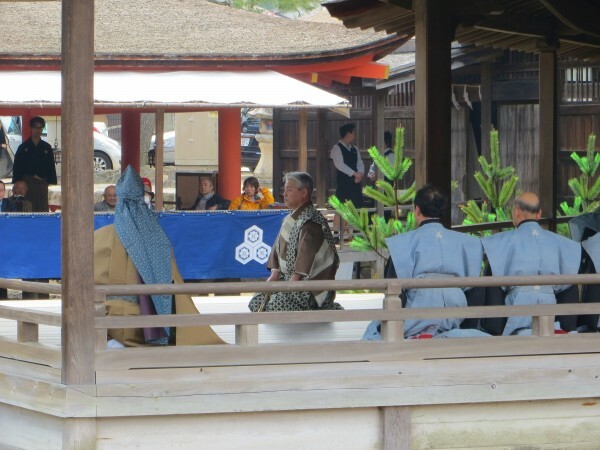 Some shinto ceremony was going on while I was there. There was a fair number of attendees across from this in galleries. 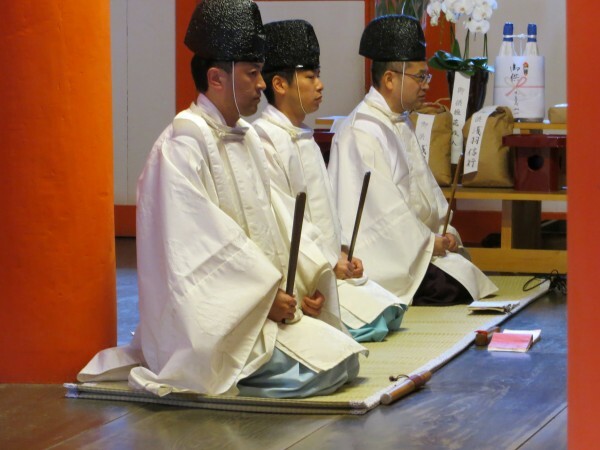 No births or deaths are permitted near the shrine, to preserve its purity. Pregnant women are required to leave at a certain point, as well as the terminally ill or very elderly. A last view of the shrine. 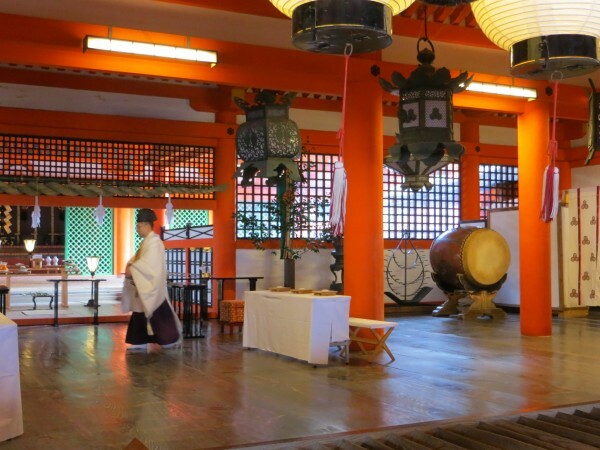 I only stayed overnight on Miyajima. 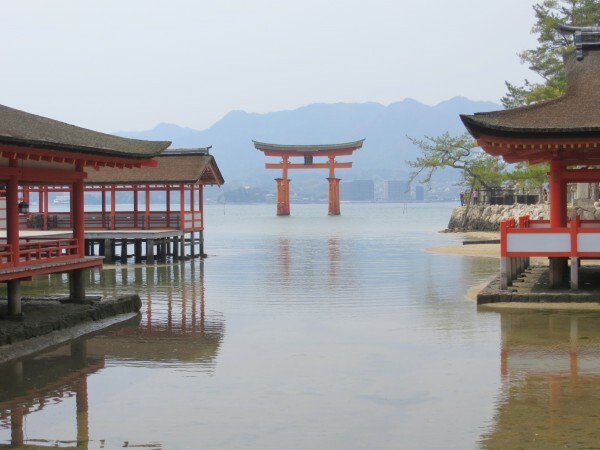 The next day, I took the ferry back to Honshu, and then the train to Okayama. I took advantage of my first afternoon there to revisit the wonderful Kôrakuen. However, I had posted many pictures of it a couple of years ago, so I will abstain this time. I used the next couple of the days for day-trips to Tomo no Ura and Kurashiki. so please look forward to that! I visited many times, but never got that lucky. Also it seems there weren't so many tourists when you went? Indeed, there weren't too many, which was nice. I did watch a large part of the wedding ceremony, it isn't all that long, but the other one I was only very briefly at. If you don't know what it is about, the chanting isn't that interesting!